At 96, Irene L. Gossin is not quite the force of nature she once was. Two generations ago, the former singer and school teacher remade herself into one of Rochester’s most active environmentalists. In the years before Earth Day came into existence, Gossin helped protect open space and block landfills. Her vociferous defense of natural resources earned her praise, and death threats. Preservation of the Irondequoit valley, with its bay, wetlands, creek and bluffs, became her enduring cause. And then Gossin remade herself again, into one of the Rochester area’s most visible politicians. In 1971, when she was elected supervisor of Penfield, Gossin became that town’s first elected Democrat — and the first woman to run a government in Monroe County. Outspoken and fiercely partisan, Gossin ranked among the best-known local politicians in the Rochester area at the time. To this day, she remains perhaps the most conspicuously “green” politician this area has ever produced. Gossin left government and politics at the end of 1992. Today she lives in a tree-shaded Penfield home she helped design and build more than a half-century ago, entertaining visitors and dispensing occasional advice on political and conservation topics. She is infirm, spending most of her waking hours in a wheelchair or lounger. But she still fixes listeners with a gaze that defies them to look away, still relates a tale with surety of tone and content, and still relishes the memory of a phrase well-turned or an opponent’s weak spot discovered. She’s still Irene Gossin, through and through. Oddly, for all of Gossin’s work in land conservation, there is no land that bears her name. The Monroe County wetlands park she can see from her picture window — a park she was instrumental in creating — is named for an old political adversary, former county executive Lucien Morin. The idea makes her chuckle. But through what could only be called serendipity, Gossin recently was introduced to a woman who was then in the process of purchasing land in Penfield that she intended to set aside as a nature preserve or a park. The woman, Mindy MacLaren, who says she found Gossin “a remarkable woman,” was impressed enough that she decided to name the land in her honor. From the single-story home that Gossin and her late husband, Alex, built at the edge of a high bluff, she has a sweeping view of Irondequoit Creek and the wetlands that surround it. One day, in 1966, Gossin saw through her rear windows that workers were spreading rubble in the wetlands near the foot of the bluff, just north of Browncroft Boulevard. She investigated. “I followed the trucks from Mt. Hope Avenue, where they were tearing down the old Rochester State Hospital. I followed them to right down here,” she said. And that is how “the whole environmental thing” began. Gossin began to work against despoilment of the wetlands. She formed a neighborhood association that effectively blocked further in-filling, and forced state environmental officials to convene the first-ever public hearing on a proposed landfill. She protested the dumping of pollutants by a meat-rendering plant and other local businesses. She advocated for creation of a county park there. Other people began asking her to help with their own conservation or environmental issues. She was invited to speak at universities. “The environment was beginning to take hold. It just really beginning. I think I was lucky in being able to explain what it was that we could do right here in our hometown,” Gossin said. It was a surprising turn in her life’s course, but not the first. 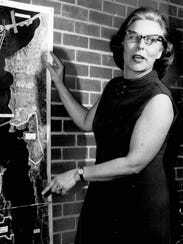 Gossin, whose maiden name was Lound, was born on a farm in northern Wisconsin. Growing up, she gained an appreciation for the out-of-doors and for the need to manage and protect natural resources. She also gained a passion for singing. She won several amateur singing contests and was awarded a scholarship to study voice and musical education at the University of Wisconsin. When a favorite teacher left Wisconsin, Gossin transferred to the Eastman School of Music for her senior year. Gossin met her husband-to-be at a dance in Rochester in 1940, and they married two years later. For the next decade she sang opera in Rochester and taught music in the Warsaw and Brighton school systems. It was Gossin’s reputation as an early environmental crusader that led to an invitation to speak about conservation to a Penfield leadership committee. That impassioned talk led to an invitation to get involved in local politics. She became part of a group of “insurgent” Democrats, and ran for supervisor in 1969. She did well but lost. Gossin ran again two years later and overcame a huge Republican enrollment advantage to win. “She is an attractive woman whose charm smooths the edges of an enormous amount of energy,” a Democrat and Chronicle reporter wrote shortly after her victory. At that time, a woman running for public office was relatively unusual. Some newspaper stories still identified her as “Mrs. Alex Gossin.” It remains a point of considerable pride that she was the first female administrator of a government body in the county. 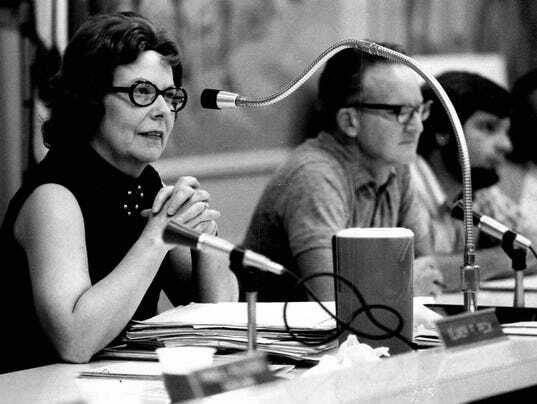 Gossin, who was 52 when she first took office, served as Penfield supervisor for 10 rousing, sometimes-stormy years. Regulating land use and protecting open space were points of emphasis. Under her leadership, Penfield became the first town in the state to adopt an environmental ordinance. She set up a recycling drop-off site, for the state to follow the town land-use rules and tried to increase government transparency. Parks and natural preserves, including the Thousand Acre Swamp, were established under her watch. In 1975, she survived a cerebral hemorrhage that left her hospitalized for nine weeks and out of work for several months more. Two years later she sparked a contretemps by criticizing suburban police forces as incompetent. By her final term, she was the only Democrat on the board, leading to endless squabbles with Republicans. When she ran for election to a fifth term in 1979, she lost by just 30 votes. Two years later, she ran again and reclaimed the supervisor’s post for a final two-year term. When that term had ended, Gossin walked away from politics. But in 1985 Democrats drafted her to run for County Legislature. At the age of 66, she ran and won. Gossin served in the legislature for six years. Environmental matters, including protection of Irondequoit Bay, plus construction of a new bridge over the bay outlet, were focal points. She rose to become assistant majority leader and became even better-known in the community than she had been. In 1988, she agreed to run for state Assembly but lost a sharply partisan race against incumbant Republican Bob King. It was her second thumping in a try for higher office, having lost badly in a 1974 race for Congress against popular Republican Frank Horton. Gossin doesn’t remember her time in the County Legislature with great fondness. Indeed, that was Gossin’s forte — finding the keystone at the heart of things, and finding the best way to move it in the direction she wanted. She recalled, for instance, being approached many years ago by people hoping to preserve the historic Seneca Indian site in Victor now known as Ganondagan. There was pressure allow commercial development of the property, she said, and they needed advice. Ganondagan is now a state historic site, the only such site devoted to New York’s Native American heritage. 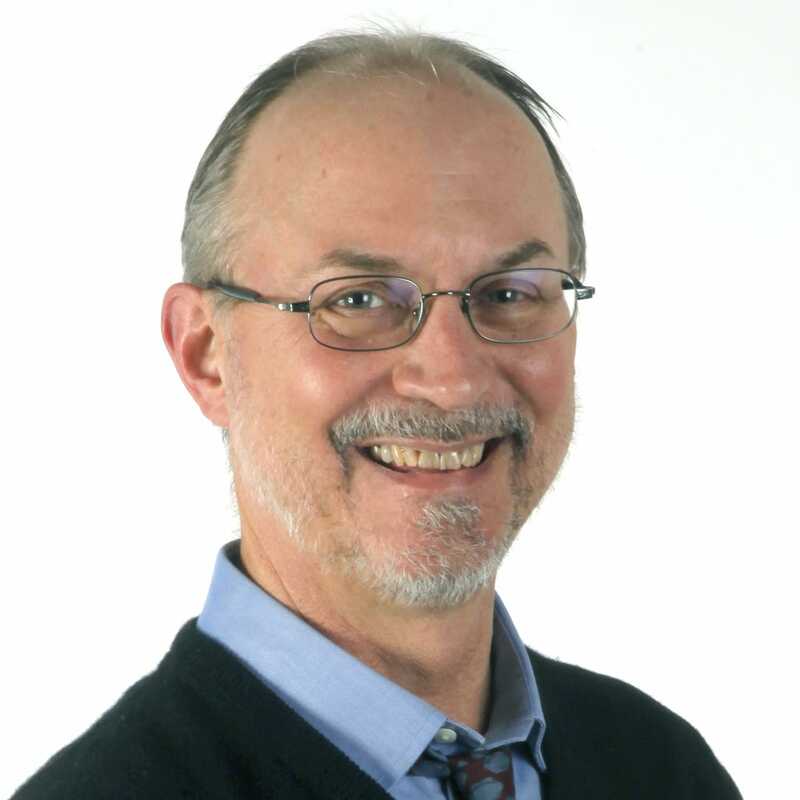 “I guess my career was mostly one of pressure, of somebody or something,” Gossin said. “Every now and then I’d get into something I knew nothing about, but you kind of get caught up in it and you try to figure out an angle that will work. In the early 1970s, when Ellen deBuono had just moved to Penfield, a woman appeared at her door one day to ask for her vote. It was Irene Gossin. Gossin gave her some literature and, as a keepsake, a small fir-tree seedling wrapped in cellophane. DeBuono kept the seedling and stuck it in a pot. She bought 1,000 of the starter trees, each only a few inches long, and handed them out during her successful campaign for supervisor in the fall of 1971. It’s now about 50 feet tall, with a trunk roughly eight feet in circumference. 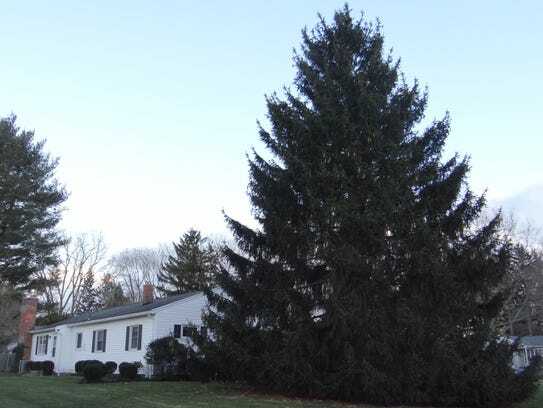 “When you see the size of the tree today, you wouldn’t believe it,” said deBuono, who sent a picture of the evergreen to Gossin several years ago. Though only long-time residents would connect these trees to Gossin, they are part of her lasting legacy. The legacy is about to grow further. Friends of Gossin had been cognizant of the fact that for all the parks and preserves she helped create, none of them was named as a tribute to her. They explored arranging something with the town, but it didn’t work out. A Penfield resident, MacLaren was concerned that fields and farms continue to be snapped up by builders. She learned not long ago that 18 acres near her home, once slated to be a day care center, were coming back on the market, and saw an opportunity. “I thought, ‘I’ve got to act on this. '” MacLaren said. 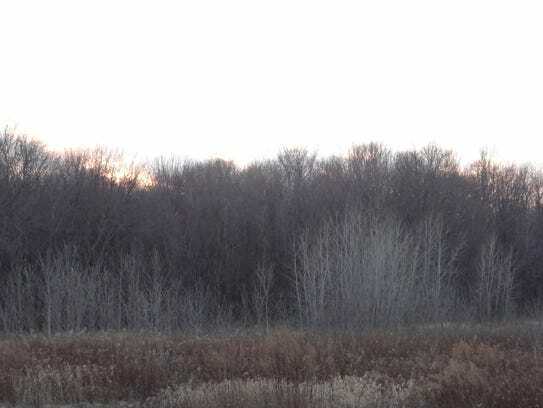 As she was in the process of buying the land, which lies off Five Mile Line Road across from the established Rothfuss Park, she posted something about it on social media. A friend who is involved with the town Democratic committee saw the post and suggested she meet Gossin. MacLaren, who is 44, is the daughter of Larry and Jane Glazer, the prominent business people and philanthropists who perished in an airplane accident in 2014. She was reluctant to say much about her family connection, not wanting to distract from Gossin’s story. But MacLaren knows they’d approve. “My parents would be so proud. My dad would say, ‘God isn’t making any more land. She (Gossin) deserves it,'” said MacLaren. She closed on the property two weeks ago and is still making plans for how the land will be administered. A nature preserve, open to the public, is the most likely choice. “It’s sandwiched in between houses and includes wetlands, a more forested area with lots of trees, and a wide open area of grasses, trees, and scrub brush. It’s really pretty lovely! I’m very excited about it,” MacLaren wrote in an email after walking the property recently.